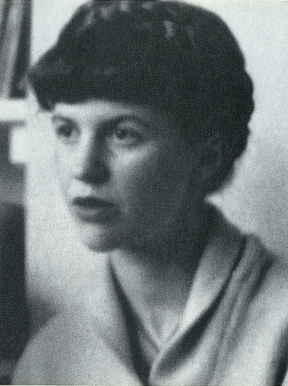 Sylvia Plath's life and death were ruled by dualities: the extremes of poetic passion. So it is no surprise that her birth in Jamaica Plain on October 27, 1932, is a little-known fact while her grave in Yorkshire, England, where the expatriate poet committed suicide at age 30, is a celebrated shrine. Aficionados routinely leave her patented "Bell Jar" dried red roses under the tombstone from which her married name, "Hughes," has been chipped off. Experts concur with Peter Davison, poetry editor of "The Atlantic Monthly," a former lover and biographer of Plath: "Little of Jamaica Plain informs her poetry or prose." Plath was born on Prince Street, a quiet little lane, ironically very English, near the Arnold Arboretum. One of the home's owners explained that Plath's father was a botanist (a specialist in bees and a professor at Boston University) and "since he did research at the Arboretum, this home offered the perfect location." Local Realtor Rachel Carlson said the Philadelphia-style home is similar to several others on Prince Street. "There is really nothing remarkable about it," she said. The house is distinguished by a Romeo-and-Juliet-style balcony over a deep-set porch. The house is clapboard-sided with a chimney rising stoically in exposed brick from the ground to roof. Plath's birth site represents a typical suburban home in the 1940s or '50s. Yet, the striking reality exists - few know that one of America's most famous poets was born here. Her house is not designated as a historic site, nor is there a commemorating plaque. And, as far as the present owners are aware, the trademark bouquet of dried roses has never been found on the front porch along with the morning newspaper. Plath's friend and fellow "Suicide School" poet Anne Sexton, who also won a Pulitzer Prize and killed herself, is buried in Jamaica Plain at Forest Hills Cemetery. This is quite a legacy: two of the greatest modern poets brushing fate, in birth and death, in Jamaica Plain. Today, Plath's life continues to pique public interest; witness the new fictional account of her last frenzied months prior to death. "Wintering," by Kate Moses, chronicles the feverish writing of "Ariel," replete with the "Daddy" poem and the depressions that followed her separation from Ted Hughes. Reprinted with permission from the February 21, 2003 Jamaica Plain Gazette. Copyright © Gazette Publications, Inc.